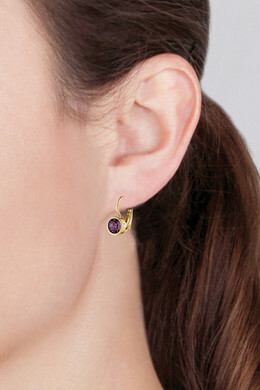 The MADU earring is one of our absolute favorites! Classy and timeless and comes in many different colors and variations. French hook earrings with a large solitaire crystal from Swarovski. 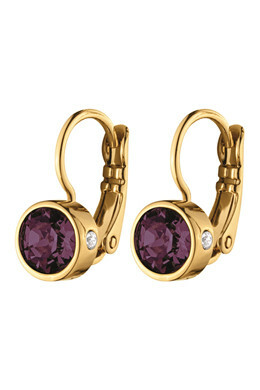 Shown here in gold toned finish and purple crystal.